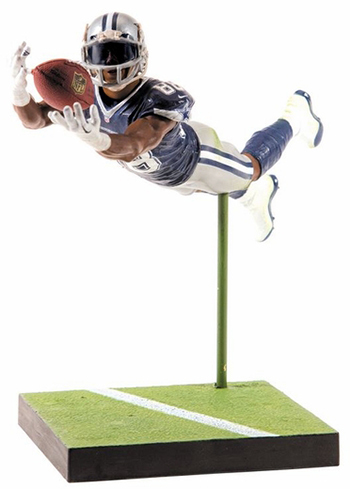 2014 McFarlane NFL 35 Sports Picks figures highlight the past present and future of the game. It is highlighted by a handful of debut pieces, a reigning Super Bowl quarterback and an all-time great. 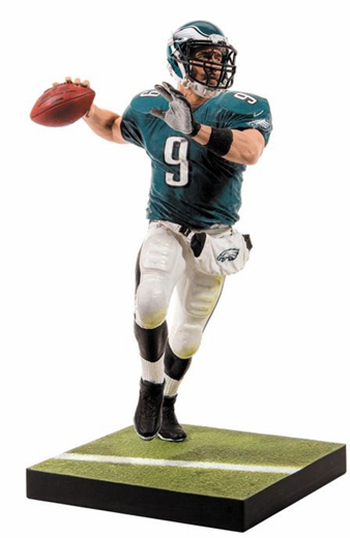 One of the top debut figures is Eagles quarterback, Nick Foles. 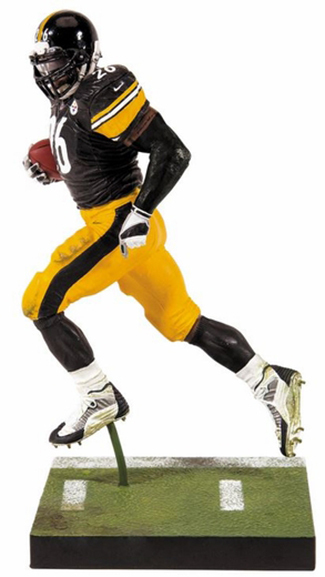 Joining him is 2013 rookie running back, Le'Veon Bell of the Pittsburgh Steelers. 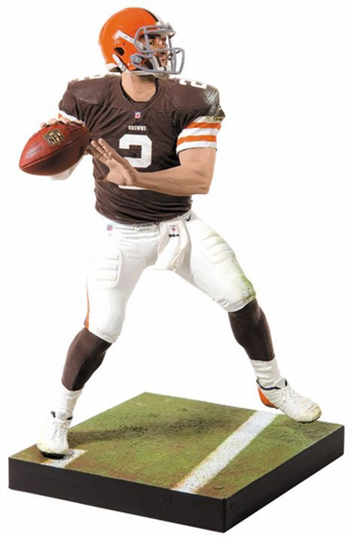 The only 2014 rookie to have a figure in McFarlane NFL 24 is Johnny Manziel. Legendary quarterback, Joe Namath made his McFarlane debut with a special figure leading up to Super Bowl XLVIII. This marks the first time he's part of a regular lineup. 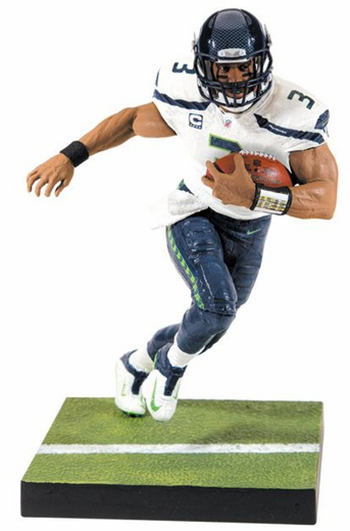 2014 McFarlane NFL 35 rounds out with Seahawks quarterback, Russell Wilson, and Dez Bryant of the Cowboys. Wilson appeared in NFL 33 while Bryant previously appeared in NFL 28. Collectors also have a pair of exclusives to chase, both of which are McFarlane debuts. 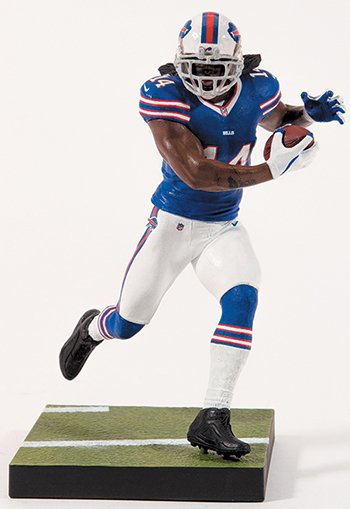 Browns wide receiver, Sammy Watkins, is only available through the McFarlane online shop. 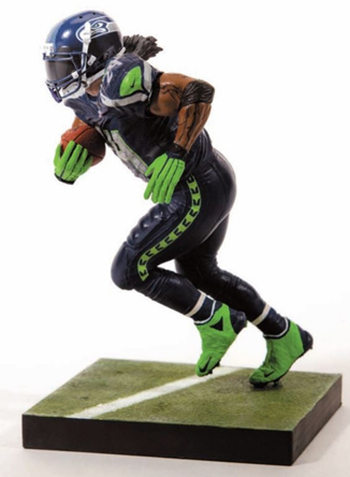 Marshawn Lynch of the Seahawks gets his first figure as an exclusive to ClarkToys.com. Joe Namath Mcfarlane NFL 35 Legends NY Jets Figure New w Crushed Bubble 6.7 10? Real bad mistake only making Manziel. Hes another Tebow in the making. In a year or two, he will be in the bargin bin section. Sammy Watkins is the McFarlane online store exclusive figure, not Josh Gordon.